Contact our 24/7 customer care staff for a quick and fully free offer for our end of tenancy cleaning service. To make certain you do not get your lease deposit withheld for cleaning charges, reserve our expert and high quality guaranteed end of tenancy service today! We've been providing the home and commercial residents of Cranford TW5 with a specialized end of tenancy service since 2005. Excellent Carpet Cleaning is recognised as a major and top recommended end of lease cleaning company by a growing number of satisfied customers in the region. 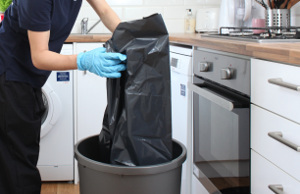 By the several years, we have developed a specific tenancy cleaning checklist, which has been accepted by a multitude of estate agencies, landlords and property managers, based on their needs and control of the outcomes of the cleaning at the end of your tenancy which they do before giving their bond back to you. The move out cleaning service is suited to: tenants, landlords, agencies, and also for people who are purchasing or offering a property in the region. To reserve us for doing the cleaning when moving out, you should first of all ensure that your items will be moved out in advance. In case you have troubles with the relocating procedure, our company also provides expert packing and man and van services to assist you move. Our well-equipped and prepared cleaning team will come to your property and will utilize all resources and options needed to diligently clean the entire property in compliance to the comprehensive tenancy cleaning checklist. This service is simply not restricted in time period, so the cleaners will maintain cleaning until almost every process is tested. The cleaning contains top to bottom cleaning of all areas, steps, hallways, your kitchen and the bathing room. It can contain exterior cleaning too. Reserving our tenancy cleaning service will only take several minutes. Possibly call up 020 3404 0500 or send us an online arrangement right here. Our customer care agents are there for you day to day, so you will be receiving written confirmation soon. Its not necessary to make an advance payment for booking, and we can not ask you to pay any hidden charges when we are finished with the cleaning. Our charges are fixed as well as clear. You can obtain a big low cost from the rates of our services, by reservation Two or much more of them as well. Also, in case you book our service quick on in time, if you are a regular customer or a landlord or real estate agency, we will provide you our unique beneficial rates for each of our services. Do not think twice to book our top quality assured, professional tenancy cleaning service now!